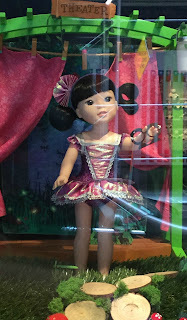 Imagine our delight last week when we visited the store and discovered that American Girl's newest collection of dolls, Wellie Wishers, includes a doll who also appears to be Asian. 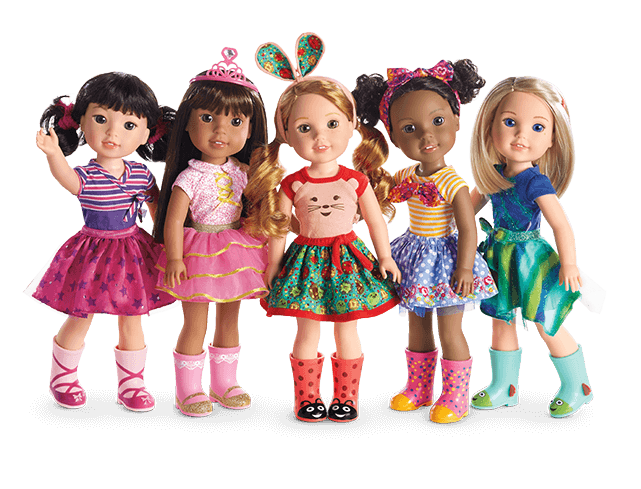 There are five dolls in the collection which also include an African-American doll and another that could be identified as Latina as well as the requisite blonde and strawberry blonde. "Each have the same big, bright wish: to be a good friend" according to the store's promotional materials. An associate at the store explained that while they clearly represent various ethnic groups, they are intended to be identified by personality traits versus race. What a great message for girls -- especially now. "I'm just happy they're not all blonde," said Madeline when we saw them for the first time. 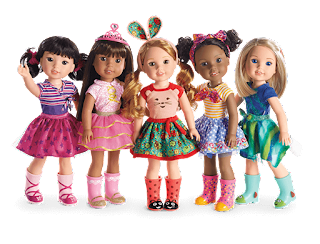 American Girl's new Wellie Wisher dolls include Emerson, an Asian-looking doll who "loves the spotlight." She was even happier when we spotted a doll without hair prominently featured in a display case. 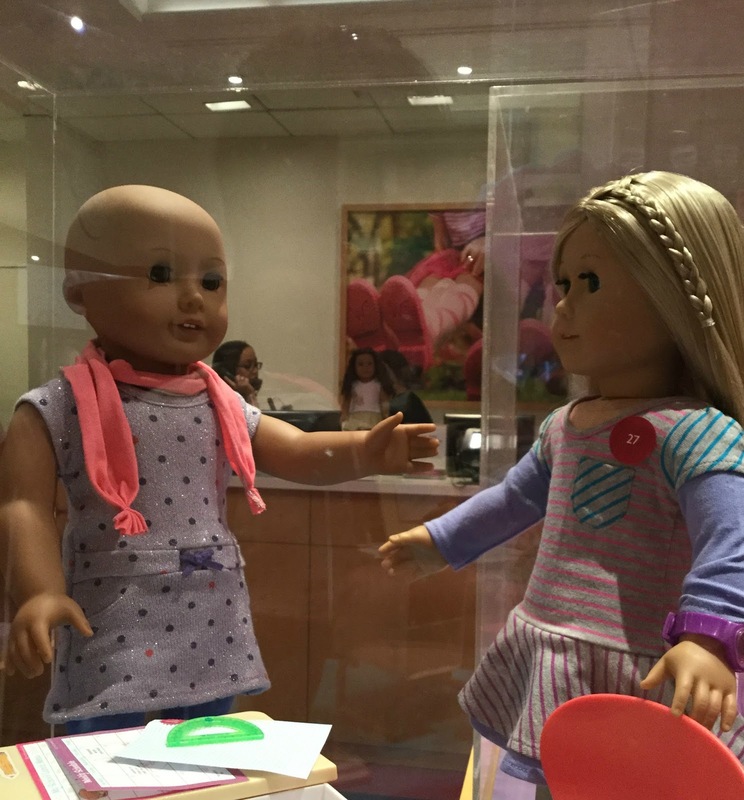 American Girl now makes a Truly Me doll in a variety of skin tones, faces and eye colors without hair. The company's website gently explains that they "understand all hair loss conditions are not permanent" and "should your child's need for a doll without hair ever change," they will send a free doll-head replacement. 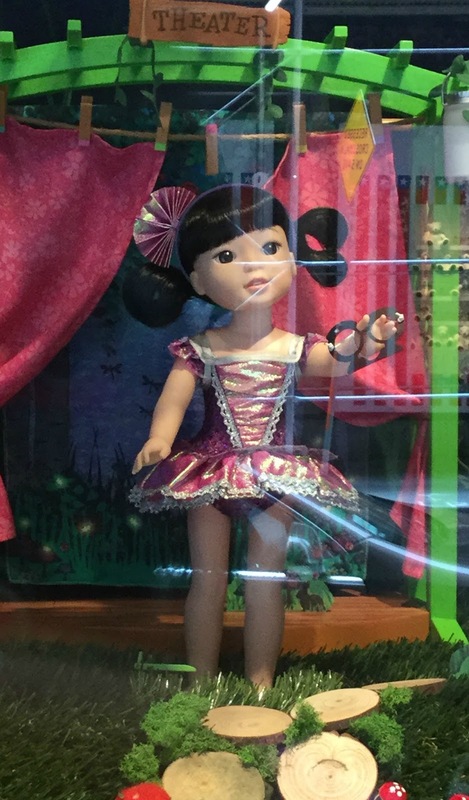 "This will really make girls who might be sick feel better to have a doll that looks like they're going through the same thing," said Madeline who seemed a bit awed by this. Kudos to the company for making these very significant additions to their already great product line in helping little girls everywhere feel included, empowered and important. Well done!